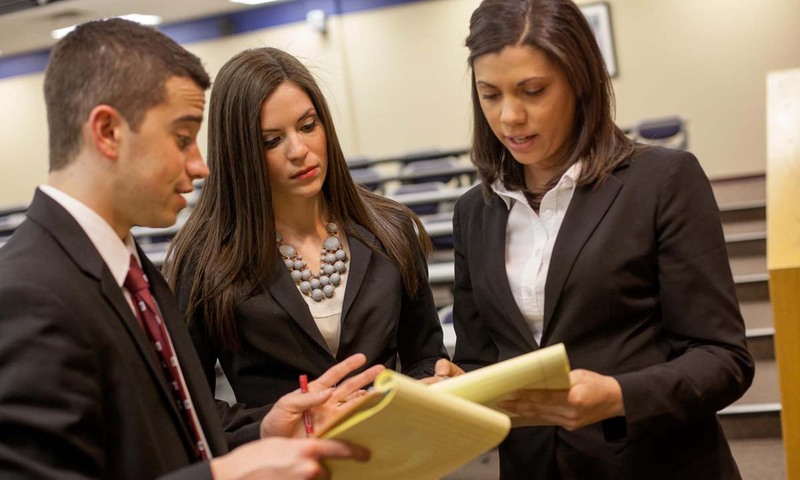 Designed to train students in the art of litigation, the Trial Advocacy Honor Society of Widener Law Commonwealth teaches courtroom skills, etiquette, and confidence. As a member of the society, you will participate in the annual Hugh B. Pearce Competition, the annual competition between Delaware Law and Widener Law Commonwealth. You will also have the opportunity to compete in competitions hosted by other law schools throughout the year. If you compete, you prepare a case from start to finish, including preparation of witnesses, opening statement, direct and cross-examinations, and closing arguments. After completing preparations, you experience the excitement of litigating your case against other students! Afterwards, knowledgeable legal professionals offer valuable critiques. The Trial Advocacy Honor Society offers you practical experience and takes legal education beyond the classroom.